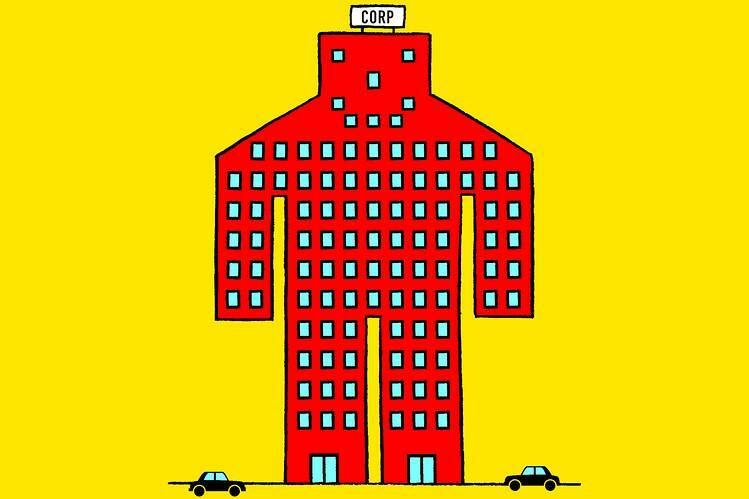 This began the concept of corporations enjoying personhood, or having similar rights as natural born citizens. However, the 1886 SCOTUS ruling wasn't precedent, meaning the decision in the legal case itself didn't address the issue of corporate personhood. The Justices simply held that opinion. We don't know how they came to that conclusion, or why. Ever since, businesses have been able to enjoy the benefits of one of the most important amendments to the Constitution. There are twenty-six Amendments, and few are used in court cases as often as the 14th. Additionally, few of the others have the impact as the 14th. The 14th tore down “separate but equal,” provided a defendant with an attorney if they cannot afford one, rid the US of anti-miscegenation laws, and declared that evidence gathered illegally cannot be used. The 14th Amendment also closes some loops in the original Constitution, through three main clauses. It's the equal protection clause that Justice Waite's court had considered. The Waite headnote dealt with corporations benefiting from the 14th but didn’t extend any of the responsibilities and difficulties that a person would have to deal with. The Amendment is very clear on who it is written for: persons. It wasn't written describing occasions where there exist entities that share characteristics, traits, or qualities of a person, which would be “personhood.” In fact, the Justice Waite headnote causes some frustrations among future justices, by reacting as if the 14th Amendment states something different than what it does. Justice Black went on to provide an elementary lesson on what the 14th Amendment said, as though he was teaching it to people that had never read it, let alone to Supreme Court Justices. If you were to ask philosophers throughout the ages “What is a person?” You would get the most profound of answers, dealing with all kinds of abstract ideas. However, there are quite a few points of agreement: biology, free will, ability to reason, self-consciousness. No attributes that could be applied to a corporation. To increase profits – without committing fraud or deceiving – is a rather simple parameter to work in. It’s also not inherently “good.” If there were no logging regulations, a corporation trying to maximize shareholder profits could mow down all of the nation’s forests, thus increasing profits! The consciousness of the citizenry knows that would be extremely destructive, thus enacting regulations. Without those or any regulations, corporations would be free to exploit any and all resources it wanted to. If I commit an illegal act or am involved (even indirectly) in criminal activity, I'm held responsible. I'll be arrested, arraigned, and post bail. If I cannot afford to post bail, I'll sit in jail awaiting my trial, which could be months or years. If the DA wishes, they'll bring charges, and I'll be tried. Should a jury of my peers find me guilty, my freedom will end. Depending on what crime I committed, my punishment could be a few months in prison, a century, or even the death penalty. There are other consequences should a corporation commit any criminal offenses. However, those punishments do not cause the same imposition as imprisonment or execution. The common penalties are fines and restitution. The equivalent of imprisonment for a corporation would be either to dissolve the company, restrict the company from trading in stock exchanges, or have to halt the sale of their goods, products, or services for a period of time. Dissolving a company would be the equivalent of a lifetime imprisonment or execution. Suspending the sale of stocks or goods would correlate with shorter prison terms. The idea that fines are an adequate penalty for corporate wrongdoing isn't true. In 2012 and 2013, JP Morgan, Credit Suisse, Wells Fargo, Bank of America, and Deutsche Bank had to pay a total of $73. A billion dollars in fines for their respective roles in the 2008 financial housing crisis. However, these fines are such a small amount compared to what their market capitalization is (number of shares traded in exchanges, multiplied by the cost of each share). Let’s say that JP Morgan is worth $45K. Then the penalties it paid ($18.29 billion) would be adjusted to merely $2,142. This is based on JP Morgan's market capitalization ($302B), and doesn't include its total assets which are at $2.6 trillion. By the start of 2009, an estimated 861,664 families lost their homes because of the criminal conduct of the above-listed banks. Lives were destroyed, and yet the punishment was a 4.76% fine. If the Housing Crisis can (and should be) viewed as a fraud endeavor, we have precedent to look at. Bernie Madoff, one of the most prolific fraudsters of our time, scammed $64.8 billion dollars out of investors. His punishment was 150 years in prison, a term that is not possible to complete. Denny Chin, Madoff's presiding judge, called Madoff's actions “extraordinarily evil” in the sentencing. Compare Madoff numbers to the Housing Crisis. If $64 billion is worth 150 years, then the fraud of 2008 should see prison terms of 30,000 years. That's because the crisis was 200 times larger than Madoff's, costing $12.8 trillion. Could you imagine the reaction of people had Madoff only received a 4.76% fine? Some companies did dissolve from the crisis. However, it wasn't because of impositions from the government. In addition, the government created the Troubled Asset Relief Program (TARP) in order to bail out companies that would have dissolved because of their illegal actions. Companies that played a part in destroying so many families, and putting our economy at risk should be allowed to fail. Not fined. Certainly not loaned money in order to steady their ships. Conscription into the US military goes as far back as the American Revolution. It's the forced use of physical manpower into the Armed Services, to be used in military conflicts. In 1940, the Burke-Wadsworth Act was passed by Congress. This was the first peacetime conscription policy in United States history. No citizen can go into a military recruiter’s office and offer to do the job of a service member for an inflated fee. A private in the Army makes about $22k per year. The wage isn't negotiable. There's no wiggle room. The wage of an infantryman is set. The US has deliberately established that there should be no mercenary militia. This goes back to the Anti-Pinkerton Act of 1893. Mercenaries often are not bound by Constitutional parameters, and the Geneva Convention even established that mercenaries shouldn't be recognized as legal combatants. Corporations? No. They can negotiate as much as they'd like. What's more, they can greatly profit off of war, unlike military personnel. Since the start of the Afghanistan and Iraq wars, 20 companies have generated profits at a total of $54.5 billion. If war is profitable, why see it come to an end? Friedman's quote is necessary to look at once again, especially since not only can corporations not be drafted into war, they can greatly benefit financially from it. Corporations, with their unlimited free speech and access to politicians, can keep a war going. And why shouldn't they? It's the rules of the game. To summarize, if a corporation wants – or even deserves – the protections of the 14th Amendment, there should exist equal consequences as a person experiences. “Equal protection” does not equate to “free of similar consequences.” In fact, being free of similar consequences is anathema to equal protection.